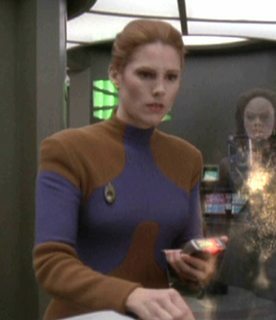 It was described as Beverly Crusher, but the more I look at, the more something doesn't seem right. I can't quite say what is wrong. Who is this?? 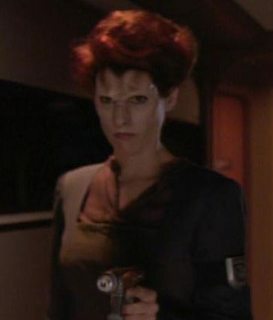 I don't remember another redhaired female Starfleet officer in the episode, so it has to be Crusher right? 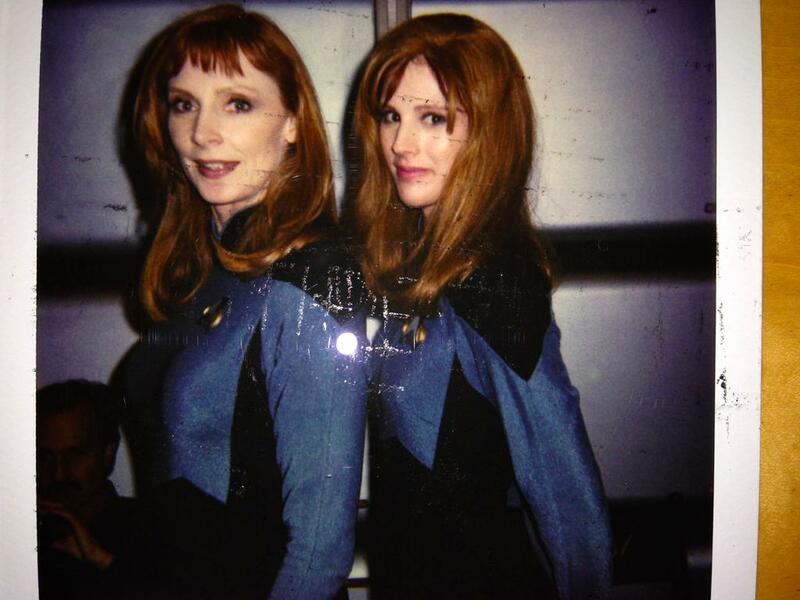 Is it a body double for Gates McFadden? The person bears quite the resemblance to Crusher but it's just not quite dead on to me, but I keep going back and forth. The person does seem familiar though for other reasons, but I can't quite place it. Or maybe I'm just going crazy. 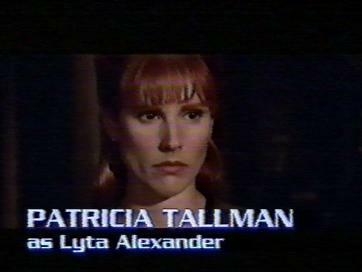 This is Beverly Crusher, but played by Gates McFadden's body double, Patricia Tallman. This is another instance where you can see Tallman's face in the finished product. In the corresponding scene from the film, Data is conversing with Crusher played by McFadden, but it is Crusher played by Tallman who actually gets pushed into the water. You can see Tallman's face when the camera turns to Crusher being unhappy in the water. 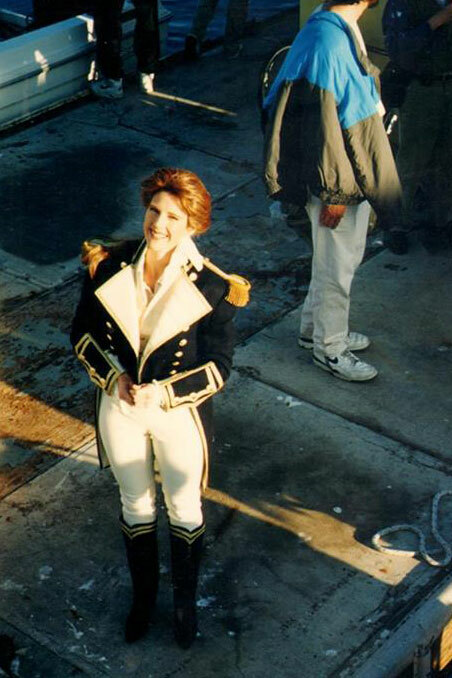 Tallman was also the body double for Nana Visitor (Kira Nerys in DS9 ) and Terry Farrell (Jadzia Dax, also in DS9 ). 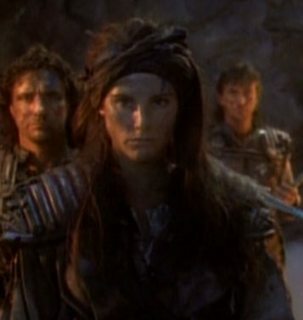 Tallman is also a professional stuntwoman, and her stunt work appears in many films and television series, including Jurassic Park (1993), TNG, DS9, Voyager, and Babylon 5. You can read more about her and her contributions to Star Trek here. 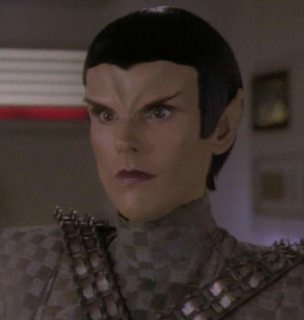 Why was Crusher replaced with Pulaski who was replaced by Crusher? Why did people hate Wesley Crusher? 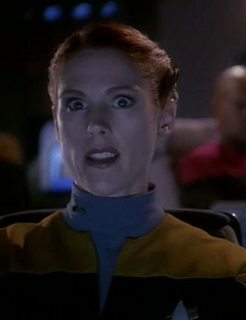 Are there Star Fleet non-disclosure agreements for tests? Why does Starfleet allow racism and speciesism?